One of my best selling products is the The Alphabet Pack. It was long overdue for a cover makeover. The product is all the same; however, your binder cover will look much better with this new look. 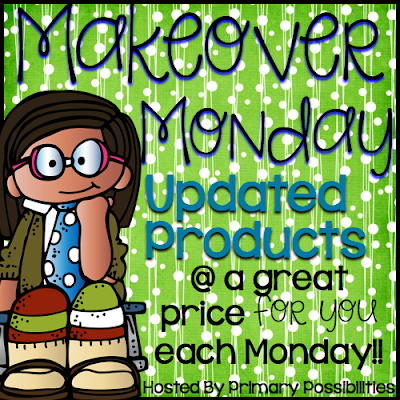 Not only did I change the cover look, but I also added our new blog logo. I am still incredibly overjoyed that our blog looks this great!! 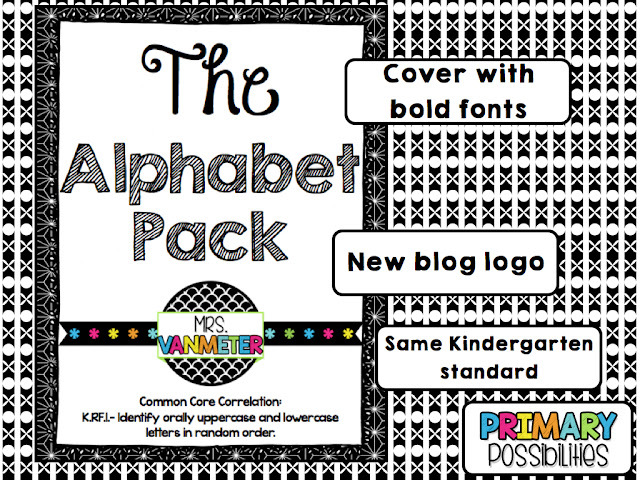 This packet includes an uppercase and lowercase sort for every letter of the alphabet. This packet includes black and white images and fonts to save on ink. 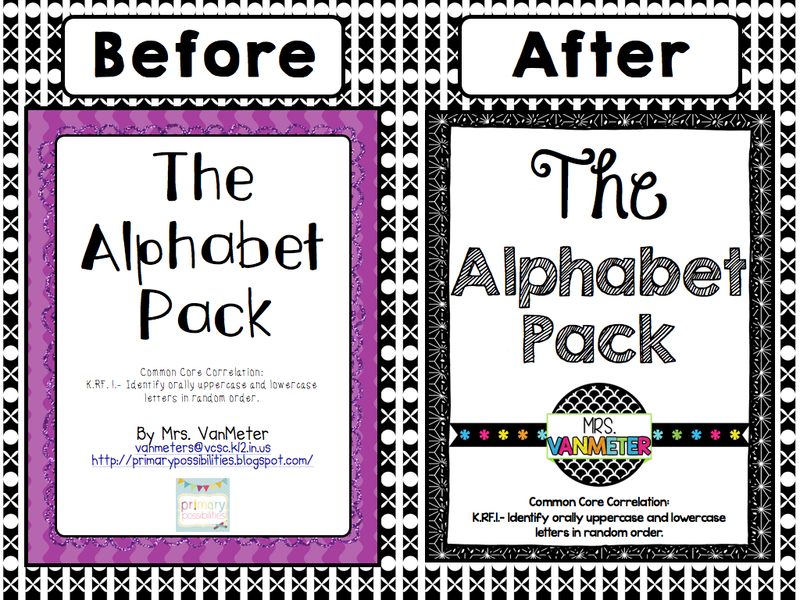 The Alphabet Pack is helpful for preschool and kindergarten teachers to help with letter identification with their students. The Common Core Correlation is K.RF.1.- Identify orally uppercase and lowercase letters in random order. 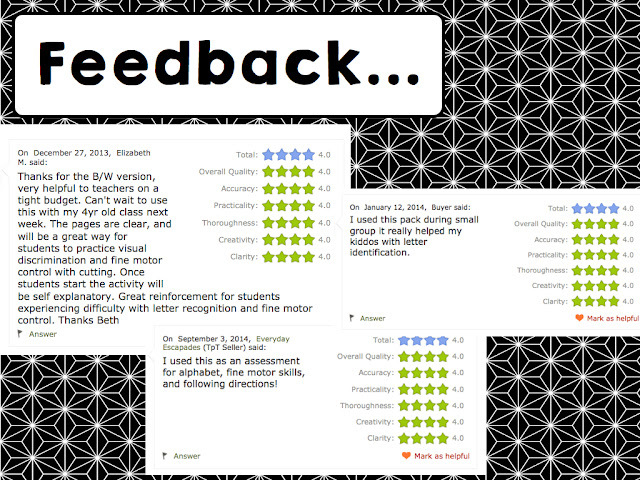 Here is some of the feedback that I have received over the years from The Alphabet Pack. 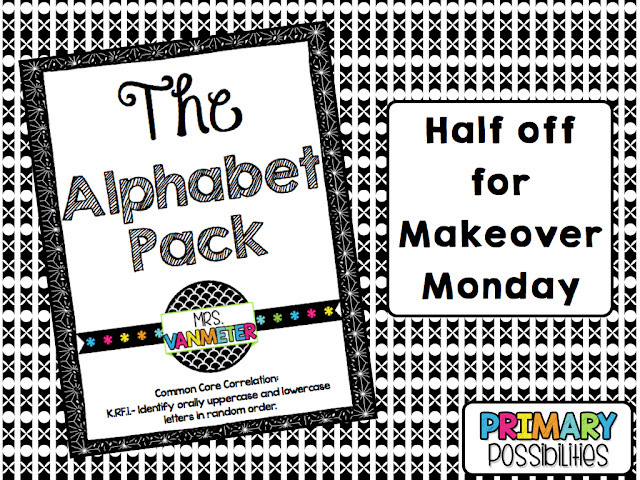 The Alphabet Pack will be on sale for Makeover Monday. 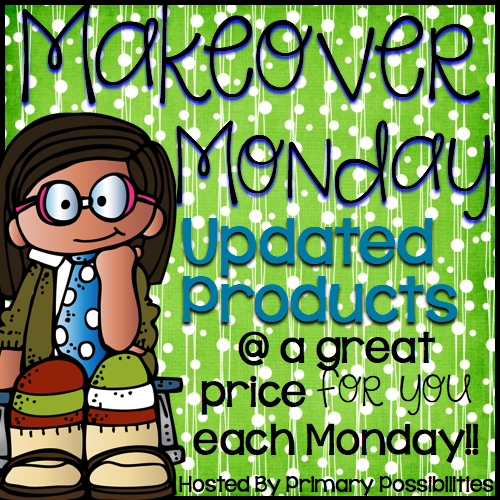 Link up your makeover product at the linky below.